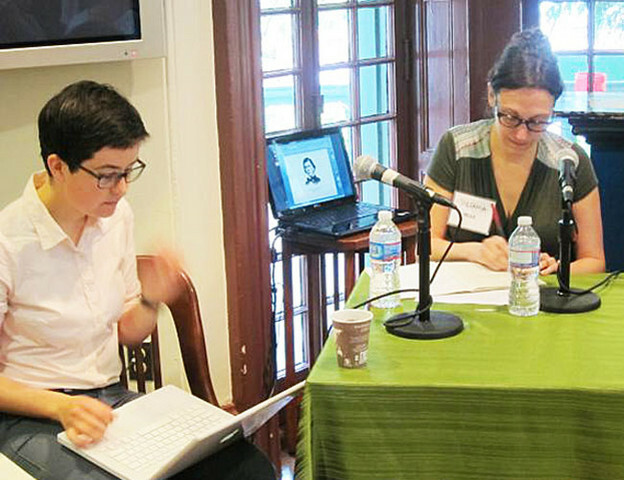 Sarah Dowling and Stefania Heim at Kelly Writers House, April 2013. Muriel Rukeyser and Susan Howe tell the same anecdote about nineteenth-century mathematician, philosopher, and American Pragmatist Charles Sanders Peirce. In it, Peirce has been tasked with defining — among many specialized terms of logic, philosophy, mathematics, and astronomy — the word “university” for the Century Dictionary. He calls it “an institution for purposes of study.” They correct him: a university is “an institution for instruction.” Peirce, a profound polemicist, responds, “any such notion was grievously mistaken, that a university had not, never had had, anything to do with instruction.” In Peirce’s understanding of the university, knowledge is to be sought, not imparted or dictated. It remains an institution, but one rooted in shared pursuit, not in hierarchical transmission. The anecdote appears in Muriel Rukeyser’s 1942 biography of nineteenth-century physical chemist Willard Gibbs and in Pierce-Arrow, Susan Howe’s 1999 hybrid poem engaged with the life and work of Charles Sanders Peirce. Neither Rukeyser nor Howe comments on the story; we are left to determine its significance and interpreting the poets’ reasons for including it. In Rukeyser’s retelling, it follows the lines: “How deeply these adventurers were cut away from each other! And, so divided, how far away they were kept from their own selves!” (378). In Howe’s: “Peer/se pronounced Purr/se blamed most of his problems on his own left-handedness” (7). In both of these versions, Peirce’s renegade act of definition is framed by alienation, otherness. This reverberating anecdote provides concrete evidence for my intuition that something important can be gained by linking the scholarly projects of the expansive matriarch, Rukeyser, and the stark experimenter, Howe. Despite their travels along non-overlapping taxonomic paths, they share both concerns and methods. The reappearance of the Peirce anecdote is an evocative coincidence, but it is not mere coincidence. As subject matter, it underscores both poets’ trenchant questioning of the systems and institutions by which our histories, our knowledge, our writings, and our lives are organized. As anecdote, it exemplifies the way in which they conduct that questioning on a human plane — through the documents and detritus of actual, embodied, historical lives. Finally, in privileging study over instruction, they — like Peirce — seek out the independent, the antinomian, the forgotten. Susan Howe’s work is difficult to classify beyond catchall monikers like “experimental” and “innovative.” Visually fractured and syntactically challenging, her books feature diagonal, upside-down, and curved lines of language, often rendered illegible through palimpsest. They contain facsimiles of archival treasures, including Peirce’s notes, diagrams, and drawings. Her poetry collections include personal and historical explorations written in prose, and her works of scholarship are broken into lyrical fragments featuring figurative language and quick leaps. Howe revels in what she calls the antinomian strain of American culture — Anne Hutchinson, Emily Dickinson, Peirce — and peoples’ historical silences, positing the real-life identity of Bartleby the Scrivener, and giving voice to Jonathan Swift’s tragic mistress, Stella. In her own words, she “tenderly lift[s] from the dark side of history voices that are anonymous, slighted — inarticulate.” Howe, the researcher, the “library cormorant,” is always a visible part of the investigative process and resulting text. Muriel Rukeyser is not often considered a poetic experimenter, though her work is as difficult to classify. With a publishing history spanning from 1935 — with Theory of Flight, her Yale Younger Poets Prize-winning first book of poems — to her death in 1980, she is perhaps the only poet as often invoked in studies of the 1930’sPopularFront as in anthologies of second-wave feminism. Lately, her 1938 poem sequence, “Book of the Dead,” which incorporates both documentary material and dramatic monologue in its examination of the Gauley Bridge industrial disaster, is regularly cited as a seminal work of documentary poetics. In fact, Stephen Burt’s assertion in The Nation this January that U.S. 1 (the book that contains “Book of the Dead”) is “now undeniably influential” on a particular strain of contemporary experimental investigative work — with his “now” and “undeniably” gently indicating prior dismissal — show how her reception has changed. Rukeyser is no longer just the “mother of us all,” where “us all” suggests a particular strain of American feminist. However, works like Willard Gibbs, her musical about Harry Houdini, and her “story and song” about Wendell Willkie — the strangest in terms both of structure and scope — are currently uncategorized and largely unstudied. It is in these texts that I see harbingers of Howe — the violent and slighted voice, the formal stutters to which they are listening and to which they respond. Each takes that which doesn’t fit and makes a form to tell it. The book Willard Gibbs — and in this way its fate echoes that of the man — was never really understood. As The Kenyon Review summarized, by the spring of 1943, it had earned Rukeyser “a number of slaps on the wrist — and even, from a particularly malicious reviewer, one in the face.” Writing in The Nation in January 1943, Joseph Wood Krutch (the best candidate I have located for that “malicious reviewer”) insults Rukeyser’s style, dismisses her method, undermines her achievement, and condemns her very undertaking, writing: “I am still not certain either that [Gibbs] deserves a popular biography or that, if he does, Miss Rukeyser was the person to write it.” It’s true: Willard Gibbs is a strange book. It is a popular biography of a famously uninteresting individual. It is a narrative culled despite, or more precisely, out of, serious omissions in the archival record. It is completely unauthorized, even opposed, by the subject’s heirs. And perhaps most essentially, it is a book about a chemist whose writings were, and still are, difficult for other scientists to understand, written by a poet with no particular scientific training or background — a book about a forgotten man, with an enthusiast as its author. “The leaps that must be made.” Compare Howe: “Poetry unsettles our scrawled defense.” I take the thesis of Rukeyser’s audacious book to be about the leaps in which poetry traffics, leaps she carries over into prose, to her mode of doing history, and, more urgently, to her project of living. In her controversial chapter, “Three Masters: Melville, Whitman, Gibbs,” she links the three nineteenth-century Americans, not just because they were insufficiently recognized geniuses, but also because of the scope and impulse of their disparate work. She writes, “The symbols and myths of poetry and painting had their parallels in the symbols of science; the analogies are dangerous, but they are most dangerous when they are most usable” (365). Rukeyser’s great insight — essential to Willard Gibbs, but found throughout her work — is that analogy is “a form of life” (403). It is necessary, perilous, precious, requiring of constant movement and vigilance. This argument is what the book is about: Josiah Gibbs’s intuition about the living structure of grammar refigured in his son’s assertion that “Mathematics is a language” (280); Willard Gibbs’s discovery about the transformation of matter, refigured and reverberated in the operations and theories of linguistics, poetry, and psychology; and Gibbs’s “Phase Rule,” applied by Henry Adams to “The Tendencies of History.” It is also what makes the book possible, the wager on which it is staked. Rukeyser is dismissed as frivolous for asserting these connections in her prose, making such leaps outside of the sphere of poetry, where it is acceptable, expected, and easy to dismiss. Analogy, dangerous and usable, is also what drives Howe’s Pierce-Arrow, whose title — alluding to the common mispronunciation of Peirce’s name while also calling forth violence, passion, secrecy, and the Buffalo-based car manufacturer — is itself an accretive instance of the practice. On a prefatory page of prose accompanying her list of the book’s numerous illustrations, Howe writes, “Putting thought in motion to define art in a way that includes science, these graphs, charts, prayers, and tables are free to be drawings, even poems”(ix). Thus, she is not only making her poetry out of Peirce, but she is also turning Peirce himself into a poet, just as Rukeyser earlier crowned Gibbs’s “poet’s head” (292). Howe could be Rukeyser, concluding, “There always was and always will be a secret affinity between symbolic logic and poetry” (ix). Where Rukeyser presumes, Howe trespasses. Like Rukeyser’s intrepid wandering, Howe’s is figurative (her lines on the page, her slicing of photocopies of other people’s words); it is professional (“I have trespassed into the disciplines of American Studies and Textual Criticism,” she asserts, “through my need to fathom what wildness and absolute freedom is the nature of expression”); and it is physical. In her books, Howe stands in the stacks of Widener Library, sits in the bowls of Sterling Library, enters the neo-Georgian Houghton Library, and worries, in the face of their architecture and power structures, about her appearance, her clothing, her credentials, her briefcase, her name. In trespass, there is the woman’s unsanctioned, undisciplined body. But in the act of trespass, there is power too. Howe writes in The Midnight, “Here — every researcher can be a perpetrator”; in her introduction to The Birth-mark, “The stacks […] of all great libraries in the world are still wild to me […] I go to libraries because they are the ocean” (18). The game goes like this: you are admitted to the room in which you have hoped to be, to start your hunt. You declare yourself, saying what you hope, what you want. The person on the other side of the desk slumps down a bit — one vertebra, say — and answers, ‘No.’ Many writers … scholars … Americans … turn raspberry-color then, all their hopes blasted; or go very hostile; or go to the National Portrait Gallery and cry. When Rukeyser has success as a researching scholar, it is as a poet and as a woman. And it is explained as a relationship: “a link between two people […] however gypsy, however she-poet you appear to him” (308). Howe, the perpetrator. Rukeyser, the gypsy. This is the seemingly basic insight that keeps rising up for me, linking the two poets: no structure is autogenetic, but imbricated in the life of the mind that articulates it. Further, that mind is always embodied by an individual who lives particular days and walks particular streets. This is true of Peirce in Cambridge, Gibbs in New Haven, Howe in Guilford, and Rukeyser in New York. This is why I find so many of the categories governing the reception of these two poets — categories that pit the description of personal experience against both scholarship and invention — to be insufficient, even dangerous.The things that keep Howe and Rukeyser separate — ideas about the place of the political in poetry, what constitutes experimentation, what constitutes scholarship, and the anger of women — seem to me to be the same things that make it hard to assess their real achievements, to interpret how and why and when they describe, question, tear down, and create systems. In some ways it’s easier to start asking these questions with Rukeyser because books like Willard Gibbs have been put into categories with which they have obvious frisson. We don’t ask “what is this book” so much with Howe’s works. We are happy to call them hybrid, to call them “violent collisions.” And they are. But perhaps we should ask more. That is what Rukeyser and Howe do in their texts; they ask again and again: What is this document? What is this book? What is this sentence? What was this life? Who decides? I said earlier that the act of connection across rupture, the linking of disparate things, is a profoundly ethical act, but also a dangerous one. It is ethically and even physically dangerous to elide the differences between, say, innovative writing and the atomic bomb, a moving narrative and antibiotics, surface connection and profoundly unequal access to justice. Neither Rukeyser nor Howe evades this truth. “Analogy is dangerous,” begins Rukeyser in that earlier quotation, and Howe here: “there are places no classificatory procedure can reach.” We must also make room for this breaking off. It is the violence within Howe’s and Rukeyser’s projects. Theirs is not easy, ameliorative work. But in risk, in diligence, in scholarship, in careful attendance, the model represented by the joining of the work of these two poets might bring us, in Rukeyser’s words, “violence, and daring, and the promise of new freedoms” (9). 1. 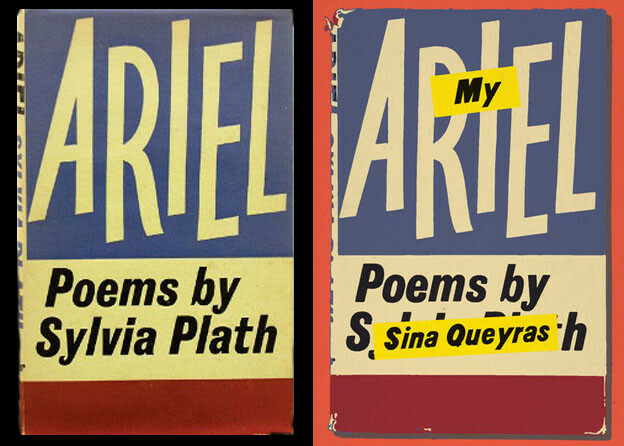 These quotations appear in identical form in Muriel Rukeyser, Willard Gibbs (New York: Doubleday, Doran and Company, 1942), 378, and Susan Howe, Pierce-Arrow (New York: New Directions Publishing Corporation, 1999), 7. Rukeyser cites Charles S. Peirce, Collected Papers, ed. Chas. Hartshorne and Paul Weiss (Cambridge, MA: Harvard University Press, 1935). 2. Susan Howe, “There are not leaves enough to crown to cover to crown to cover” in The Europe of Trusts (Los Angeles: Sun and Moon Press, 1990), 14. 3. “Library-cormorant” is a phrase that Howe borrows from Samuel Taylor Coleridge. She explores and extends its resonance in “Submarginalia” in The Birth-mark: unsettling the wilderness in American literary history (Middletown, CT: Wesleyan University Press, 1993), 26–42. For Coleridge’s original usage, Howe cites The Collected Works of Samuel Taylor Coleridge, vol. 12, Marginalia I, ed. George Whalley (Princeton: Princeton University Press, 1999). 4. Stephen Burt, “Anxious and Paralyzed,” The Nation, January 23, 2012, 27–32. 5. Anne Sexton called Rukeyser “mother of everyone” in a November 1, 1967 letter to her, collected in Anne Sexton: a self-portrait in letters, ed. Linda Gray Sexton and Lois Ames (New York: Houghton Mifflin Co, 1992), 322. Erica Jong refers to Rukeyser as the strikingly similar “mother of us all” in an interview with Karen Alkalay-Gut that first appeared in Jerusalem Review II in 1997. Both phrasings are frequently referred to in writings about Rukeyser, sometimes interchangeably. 6. In her Foreword to One Life (New York: Simon and Schuster, 1957), Rukeyser writes: “With part of the book written, I began to speak of it to friends. ‘What kind of book would you say it is?’ they would ask. That is still a hard question for me to answer. I don’t think it is a biography, although the life of a man is surely one of its chief concerns. Nor a poem, although there are poems here. The other categories: Fiction? Non-fiction? It is a book: a story, and a song” (xiii). 7. P.B.R., “Gibbs and the Age of Power,” The Kenyon Review 5, no. 2 (Spring 1943): 310. 8. Joseph Wood Krutch, “Deep Waters,” The Nation, January 16, 1943, 97. 9. Howe, The Birth-mark, 2. 10. Enormous thanks to Kathy Lou Schultz for pointing out that a Pierce-Arrow was also Rukeyser’s childhood family car — another wonderful echo. See Jan Heller Levi, “Muriel Rukeyser,” The Oxford Encyclopedia of American Literature,e-reference edition, ed. Jay Parini (2004, 2005). 12. Rukeyser, Willard Gibbs, 11. ">13. Howe, The Birth-mark, 2. 14. Howe, The Midnight (New York: New Directions, 2003), 121. 15. Rukeyser, The Traces of Thomas Hariot (New York: Random House, 1970), 308. 16. Brian Lennon, “Review of Pierce-Arrow by Susan Howe,” The Boston Review, October/November 1999. 17. This is literally true in Willard Gibbs, where Rukeyser writes, “What was this man? What impact? What restrictions? What gift?,” (13), and a few pages earlier, “What was his work and life? What kind of love produced them? What was his impact on the world?, (11).